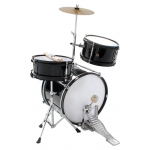 Ashton TDB522 5 Piece Drum Kit with Cymbals and Stool silver Green. 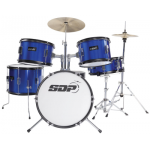 DXP 3 Piece junior drumkit. Bass drum, Snare, and tom. Includes pedal, sticks and cymbal Available in wine red, blue, purple, pink, and black. Pearl Export 22" Fusion Drum Kit with Zildjian Cymbals and Stool. 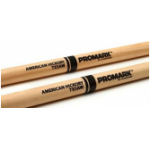 PROMARK 5AW Drumsticks. American Hickory.